As an indie author, I’ve self-published seven books so far, spanning two fantasy series. After doing so - and learning from my mistakes as I went - I’ve become very comfortable with self-publishing and am becoming more adept at marketing my books with time and practice. While the first book I published took me two weeks to format for print and ebook, for example, now it takes me about an hour or two. So publishing my newest book series myself would be quick and painless. But we writers are masochists by nature, and I prefer to be uncomfortable! Therefore, I’ve decided to see if I can publish my next novel traditionally. I’ve queried a few agents, which requires a whole new skillset. The ability to sales-pitch professionals within the industry is something I’m trying to develop. A new adventure into the unknown! Naturally, if no agents or publishers pick it up, I’ll go the indie route again. In the meantime, I’m hard at work at the sequel, as well as a science fiction novel. The first draft of my newest book is complete! I’ll start the editing process today. Lots of changes to make, as usual, but the bones of the story are there. I’ll keep you posted with my progress using the graph on the home page as usual. I’m hoping to have the final draft done before the summer! I’m almost 400 pages in to the first draft in my newest book. The first book in a brand-new series, in fact. I’m still going back-and-forth on the title, but my plan is to finish the draft this month, then spend the next couple of months editing the heck out of it. I’ve also played around with the price of the first books in the Runic series and the Fate of Legends series. They were originally at $2.99, and I’d discounted them for a few months at $0.99 each as a way to get people into the series. The price makes a pretty substantial difference. 2-3 times as many people pick up the books when they’re at 99 cents…and more people pick up the subsequent books in the series as a result. As a result, for marketing purposes, it appears that a lower price for the first books is a more effective draw. I’ve been using Facebook ads, and have found they result in a spike of sales initially, but after a few days, the effect seems to peter out. Not sure why this is, but if I stop the ads for a while, then activate them again, I get the same result. I have the urge to spend more time learning the ins and outs of marketing, but for now I want to focus most of my (limited) free time on writing more books! As usual, I’ll keep everyone updated on my writing progress on my home page. One of the most important things I’ve learned in my life is to invest in myself. To spend time and effort building my skills, my knowledge base, my wealth, my health, and so forth. And it comes down to habits. If there’s one thing being an ER doc has taught me, it’s that habits matter. In fact, they’re often the determining factor in how our lives go. Much of what I see in the emergency room is preventable. Type 2 diabetes, obesity, heart disease, stroke, some cancers, liver disease, alcohol-related trauma, mobility disorders…the list goes on and on. But it’s not just our health that is influenced by our habits. It’s our careers…indeed, the entire trajectory of our lives. Your finances, your relationships…everything you do is, in large part, determined by the little things you do every day. The seemingly inconsequential activities that are repeated, day after day, year after year. These seem so small and insignificant, but they define who - and what - we become. If you want to be an author, get in the habit of writing. Every day that you can, even if it’s just a sentence or two. If you want to get in shape, exercise every day that you can…even if it’s just for fifteen minutes. If you do something most days of the week, they’ll become habits…and they’ll build momentum. These activities - arduous and painful at the beginning - will become easier. Automatic. It is far too easy to blame external factors for what happens in our lives. Sure, there is a component - sometimes large and unavoidable - of chance that affects each of us. We can’t control that. But what we can control, we should try to control. Even if it’s hard. Even if we fail over and over again. Because if you’re failing, at least you’re trying. Failure is a great teacher, and trying is the surest way to succeed. So invest in yourself, every day. Pay yourself first, if you can. Pay your savings. Pay your debts. Pay your retirement. Put some time into your health. Put some time into your hobbies. Your relationships. Invest in what you want to grow. Because the only things that will grow are the things you invest your time and effort into. Avoid the temptation to defer your success. Pay your future self before anything else. Whatever you value, spend time and effort on. Every day that you can. Invest in yourself. It won’t be easy - change never is - but your future self with thank you for it. As always, my books are free on Kindle Unlimited. Check it out! Here we are, at the cusp of a new year. Any resolutions? I find that the best way for me to stay motivated is to always have short and long term goals in mind, and to work toward them every day, even if only for a few minutes. There’s no dedicated start time, because I never tell myself I should do something. I just start doing it. Today. Now. And then we assume we’ve got unlimited time, and we wait. We wait for the perfect moment, for inspiration to strike, for life to get easier. To have more free time. Until the kids are a little older. We wait for tomorrow. For New Years. Or a mid-life crisis. Or retirement. I’ve made that mistake many times in the past, and now I try not to do it. Anything I want to accomplish, I’m doing a little bit of today. Each day, I write a sentence, or a few pages. I go to the gym and exercise. I eat (mostly) healthy foods. I spend at least a few minutes practicing martial arts. I keep up to date with continuing education for my job. I spend time with my kids and my wife. I garden. Every day, I try to do the things I want to be. I’ve learned - by making a lot of mistakes - that the little things I do every day, i.e. my habits, are the most important things in my life. They define me…and they define you. And in large part, they are the difference between us. We can’t control our personalities or our genetics, and we can’t change the past. But we can control our habits…and our habits are our destiny. I tell my oldest son to do the things he wants to be. Not tomorrow, but now. Do them every day that it is humanly possible to. We spend far too much time making excuses for why we aren’t living the life we want. We blame our lack of progress on external things. But ultimately, if you write every day, you’ll finish a lot of books. If you exercise every day, you’ll be fit. If you spend time with your children every day, they’ll become as invested in you as you are in them. Your most valuable resource is your time, and you only have so much of it. This isn’t a dress rehearsal. You can’t afford to waste a whole year waiting for the next inspiration to change. So stop making New Years resolutions, and start doing what you want to be. Every day, no matter what day it is. Even if it’s only for a few minutes a day. Happy New Year, and good luck! My first fantasy series took off on the day of the presidential election here in the U.S. I’d started putting $50/day into Google ads and Facebook ads at that time, and sales took off. I sold 20-40 ebooks a day, and over 1 million Kindle Unlimited pages a month. Unfortunately, this didn’t last forever. After a few months of this, sales started to decline. I did start to taper off my advertising budget a bit, as an experiment to see if I was still getting any extra benefit from spending $50 a day. Sales began to tank, and when I increased the ad budget again, it didn’t stop the trend. Eventually, sales dried up, and I was only selling a couple books a day, and less than 100,000 Kindle Unlimited pages per month. Now, while I’ve managed to inject some new life into the series with creative ad campaigns, I’ve never gotten close to the original success the first two books in the series enjoyed. Runic Revolt, the fourth book in the series, has been out for about 4 months and has only sold 69 ebook copies, and has barely made half the cost of the cover design. Take-home point being, even if the first couple of books in a series does well, everything good must come to an end…and there’s no guarantee further books of similar quality will do well, even with advertising! My second fantasy series hasn’t done as well as the Runic Series, but responds better to advertising than the Runic Series does now. Part of this might be because of the more limited audience. The Runic Series was more of a Young Adult, Coming of Age fantasy series. This has a larger built-in audience of interested readers. 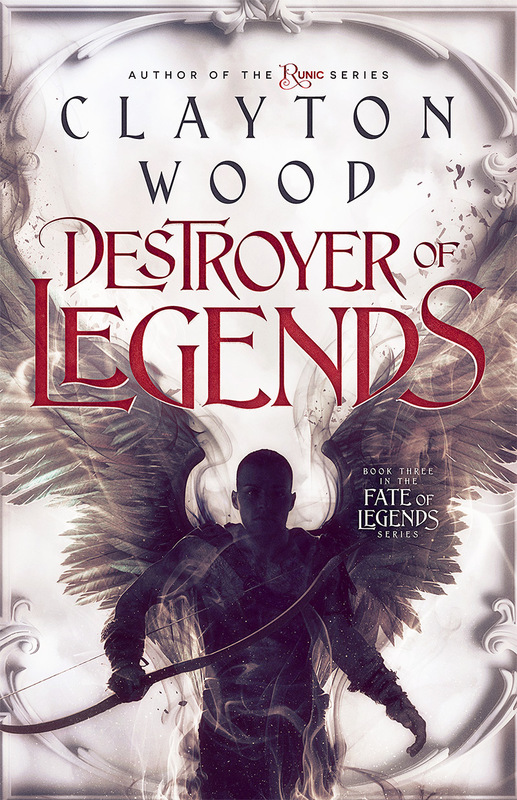 The Fate of Legends Series is harder to categorize, harder to describe, and is 18+. So the Young Adult demographic is effectively excluded. I suspect it also appeals more to men than to women, further limiting the audience. So the sales of Hunter of Legends and Seeker of Legends have never reached even a sixth of what the Runic Series did in its first few months, but with advertising, they can sell a good 10 books per day, and a little less than 100,000 Kindle Unlimited pages per month. I’ve clearly got a lot to learn about optimizing my ads, and getting my books in front of potential readers’ eyeballs. Also, I need to figure out the best way to notify readers of the first couple of books in the Runic Series that there are two more books they might like to read. I’ll keep on experimenting and learning! Also, for those indie authors out there, I hope this information provides some reassurance to those who’ve experienced similar trends in their book sales. No good thing can last forever, and book sales will dwindle eventually. Enjoy any success that you have while it lasts, but have no expectations that it will last! Book sales aren’t everything, of course. I have a day job, and have the luxury of not having to rely on the income from my books (If I did, I’d be in deep trouble). I write stories I’ve been holding in my mind for years…stories I’m passionate about and feel compelled to tell. I’d write them even if I planned on never publishing them. In fact, I had no intention of publishing the first three books of the Runic Series! So if lots of people happen to like my books, that’s great…and if not, that’s okay too. Have a great holiday, and to all those writers out there…keep writing! I’ve wanted to be an author since I was a teenager. When I was a junior in high school, my English teacher read a few of my short stories, then told me I should talk to a published author. At the time, I didn’t know what to think. The idea of becoming an author…a real author…seemed impossible. A pipe dream. After that, I didn’t write. Not for over a decade. I went to work as a software programmer, then got sick of that and decided to go to college. I pursued my dream of becoming a doctor, getting into medical school, then doing my residency. The better part of two decades passed, and my aspirations to become a writer seemed to die. Then, at the age of 31, I was nearly finished with my Emergency Medicine residency. On the cusp of becoming a full-fledged physician, I was also preparing for the birth of my first son. I remember watching my son after his birth, laying there in his crib. It brought me full circle, back to thinking about my childhood. How I’d always wanted to write a fantasy book. I promised myself then that I would write a fantasy trilogy (at minimum!) for any child I brought into this world, with them as the main character. I’d learned so much about how to be a good person from books. About how to act chivalrously, to give people the benefit of the doubt. To solve problems and follow a code of ethics. Every hero of the many fantasy books I’d read as a kid had acted as one of my guides, showing me - sometimes in ways I hadn’t realized at the time - how to be an adult I could be proud of. So I began writing Runic Awakening. A story about a boy that was like me growing up. Not particularly confident. Surrounded by people I considered heroes, the real movers and shakers of my world. At first it was going to be a children’s book. You see, at the same time as I was writing the Runic series, I separated from my ex-wife. Crushed by the thought of not being able to see Kyle every day, the story took a darker, more adult turn in the second half. I also started thinking about the father figures in my life…and those in my son’s. The Runic series became a story about father figures, and their importance in a boy’s life. In the book, Kyle’s new stepfather was a father figure, as was Kalibar, and Darius. And even the Dead Man. Each represented a different type of father. The permissive father, the nurturing father. The tough father who forced Kyle to sink or swim. The cruel, manipulative father who Kyle wanted desperately to please. So it was that the first half of the book was a lighthearted children’s book, and in the second half, there was murder, betrayal, and heartache. After completing the first draft, I sent it out to my oldest brother. I rewrote the book completely, deciding to write the first half in the same vein as the second. A darker story emerged, more adult…but still with Kyle as a child. Thus was born a sharp contrast between the innocence and incompetence of the main character, and the adult nature of the rest of the book. The supporting cast of the book became the heroes, with Kyle looking up to - and hoping one day to become - one of them. Eight rewrites later, I considered the book completed…and promptly wrote the second book. And the third. I met my current wife then, and settled down into a new life. Kyle grew older, and the trilogy I’d written faded into the background of my life. Then, nearly five years after beginning the series - and over a year of sitting on all of them - my wife read Runic Awakening. With her input, I made some more changes, and completely rewrote the story one last time - from the first page to the last - to its current form. She insisted that I publish the book. I’d never really meant for the series to be read by the public. They were my stories, with characters I adored. I hadn’t written them with any consideration as to public demand, or a target audience. I didn’t try to follow too many conventions of fantasy novels. They were written for fun, not for publishing to the world. Despite this, I began to research how to self-publish. Months of reading - and making mistake after mistake - I published Runic Awakening. At the time, I hoped fervently that one or two people would read it…and that maybe - just maybe - one of them might enjoy the book as much as I enjoyed writing it. The first month, it sold 67 copies. The second, 667…in addition to a half-million pages read on Kindle Unlimited. The third month, 687 ebooks and 760,000 pages read. Needless to say, I was flummoxed. You see, I never expected more than a few people to read the book. It was a passion project, not for public consumption. But as I published Runic Revelation two months after Runic Awakening - and they began selling over a thousand ebooks and over a million Kindle Unlimited pages a month - I realized that there were other people out there like me. People who enjoyed the characters I’d come to love, and the stories I’d come to cherish. By sharing these stories, other were able to share in my joy. The idea that other people would carry these stories with them, and maybe - just maybe - that someone who read them might one day be inspired to write a story of their own, just as I was inspired by the fantasy authors before me - was immensely gratifying. Having written four more books since, I’ve come to realize how lucky I was to have so many readers take a chance in reading the Runic series. I know full-well that I had no idea what I was doing as an author at the time…and that I still have a lot to learn. You, my readers, have taught me with your feedback, showing me both what I’ve done right, and how I can improve my craft. I’m on my third fantasy series now, and my eighth book overall. Writing a new set of stories for a child I have yet to meet. I still have a great deal to learn, and I look forward to the process. I feel lucky that the fruits of my hobby - stories that I wrote for myself and my children - have been enjoyed by others. And if I inspire just one of my readers to do as I did - to write a book - then that’ll be the icing on the cake. I never thought I’d be a published author. It’d always been a dream. If you feel the same way, I encourage you to just start writing. Put words to the page. Tell a story. Put yourself out there and see what happens. Because chances are, your story is something that someone else will want to read. The kindle version is available on Amazon now, free on Kindle Unlimited! The paperback should be available within the next few days.